Meet Dr. Rachel L ong. She began her career in medicine with the desire to serve those most in need. Joining the National Health Service Corps while in medical school gave her the opportunity to experience this first hand. 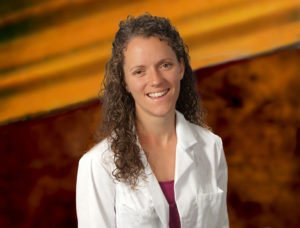 Originally from the mid-west, Dr. Long came to the area to do her residency at the University of Rochester; after completing her medical degree in osteopathy at Kirksville College. Serving those in need has always been the driving force behind Dr. Long’s work. In addition to her time in the National Health Service Corps, she organized and coordinated a volunteer project for her residency class working with Rochester Roots, a local non-profit organization that works with inner city students cultivating organic gardens. Now as part of the Finger Lakes Community Health family, Dr. Long has the opportunity to continue her passion of helping everyone. In her free time, she enjoys cooking, hosting dinners and exploring Rochester’s many farmers’ markets and parks.